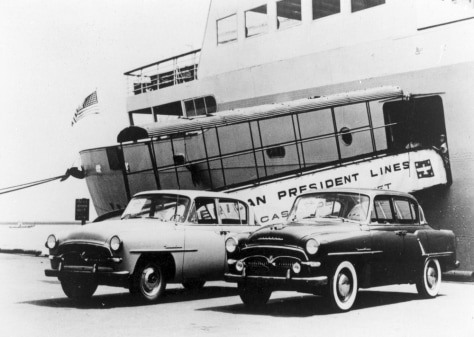 Two Toyopet Crowns, Toyota’s first exports to the United States, wait to be loaded on a ship at Yokohama harbor in August 1957. Nearly half a century later, Toyota is on track to surpass General Motors as the world’s No. 1 automaker.